Fourteen pharmaceutical firms are to roll out generic copies of Stillen 2X Tab. (ingredient: Artemisia herb 95 percent ethanol soft ext. (20→1)), a gastritis treatment, early this month. 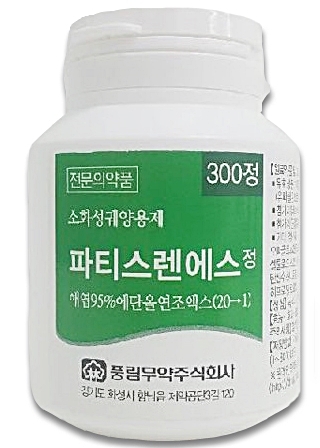 Stillen 2X developer Dong-A ST began to market the treatment in 2016. The tablet improved the patient compliance and convenience by reducing the dosing from three times a day to twice a day. Richwood Trading’s gastritis treatment Partislen S Tab. Led by Richwood, the 14 companies obtained limited exclusive rights in November to sell their generic copies for up to nine months without any other competitors. The Ministry of Food and Drug Safety set the exclusive sales period from Dec. 5, 2018, to Sept. 4, 2019. Drugs covered by insurance can benefit from the extension of the sales period by up to two months, which gives more time for the exclusive sales. The 13 other generic drugmakers are Kukje Pharm, Daewoong Bio, Dongkook Pharmaceutical, Daehan New Pharm, Binex, Samjin Pharm, Aju Pharm, Arlico Pharm, Youngil Pharm, Wooridul Pharm, Il Wha, Hana Pharm, and Kolmar Korea. The maximum reimbursement for the 14 generic drugs of Stillen 2X is expected to be set at 205 won ($0.18) per tablet, the same as that of the original treatment.